As the importance of voice search continues to grow, the jury is still out on the best way to optimize content for it. However, there’s an emerging list of best practice that does seem to work exceptionally well. This article explores the top 4 ways to optimize your content for voice search. With the growth of ML (Machine Learning) and A.I. (Artificial Intelligence), we are starting to see how the digital connects us with everything around us. And as a result of this, the digital world is rapidly becoming an inseparable part of our daily lives. 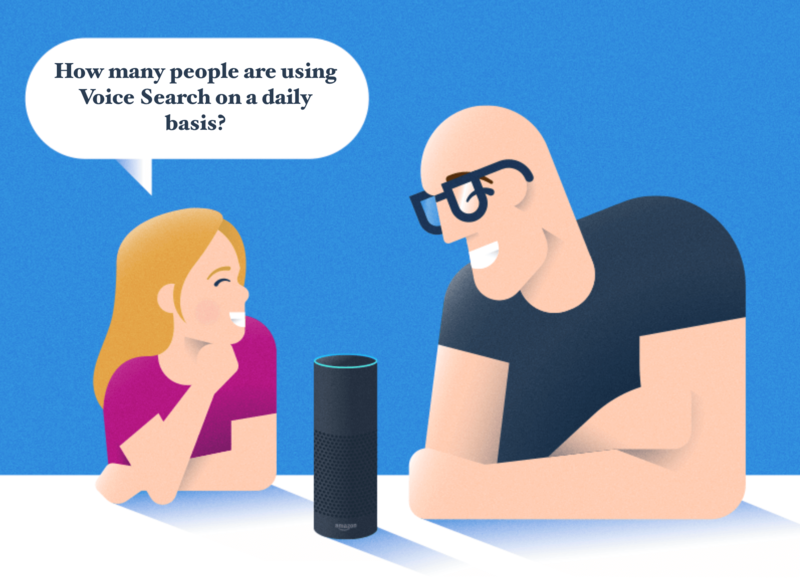 One of the most progressive search trends in recent years is voice communication, with the likes of software such as Siri, Cortana, Alexa, and Google Assistant paving the way for more voice-oriented web experience. Brands like Google, Microsoft, and Apple are betting big money on voice-based technology, and you can expect to see more developments in this market over the coming years. As of right now, Google Assistant is used by more than 410 million users worldwide, and there are hundreds of millions of other users who are using Microsoft’s Cortana, and Amazon’s Alexa. And with an estimated 1 billion voice searches per month, you ought to start optimizing your content for voice search friendliness. But where to begin? The trend for voice search optimization has really only emerged in the recent year, two at most. And while experts are still busy trying out new optimization methods, there’s an emerging list of practices that do seem to work exceptionally well. In this post, we’re going to cover four areas in which you can optimize your content for improving your voice search compatibility. Unlike text-based searches which let you use complex filters, a voice search is generally a singular question which can be answered with a straightforward answer. As a result, one of the goals in content creation for voice is to focus on answering questions that people may have. But isn’t this what content has always been about, to answer people’s questions? Sure, but the major shift with voice search is that we’re not using an entire blog post to answer a single question. 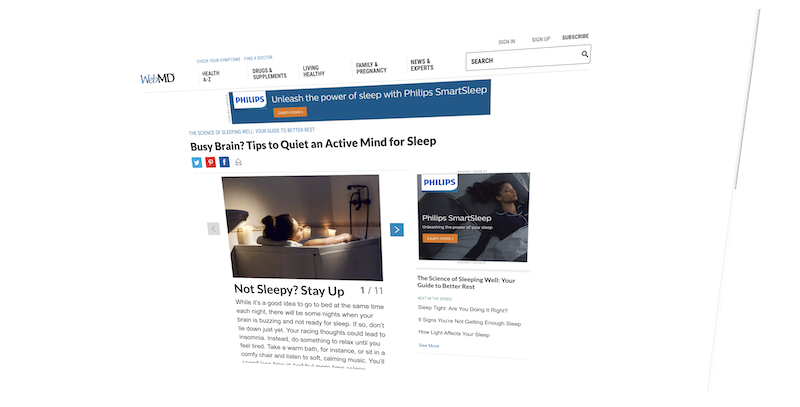 Rather, the focus is shifting towards smaller snippets and sub-paragraphs. 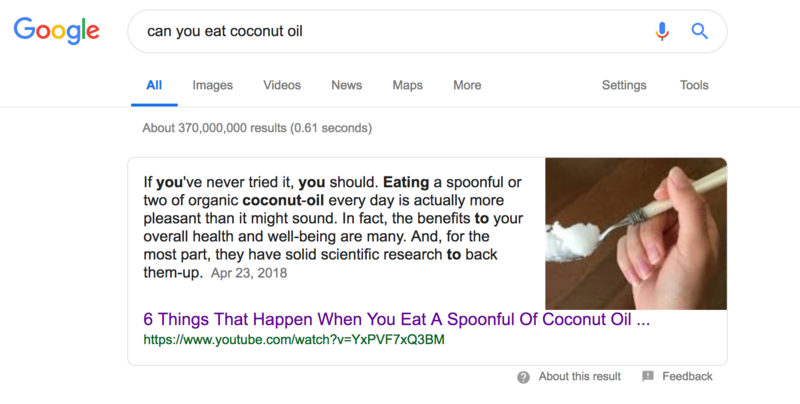 Of course, featured snippets are nothing new and have been around for a few years now. However, the way that Google is able to interpret search queries is advancing quickly. And the main focus is on condensed, easily interpretable answers. In retrospect, you don’t have to change much in terms of your SEO strategy, mostly the way you structure your content. In this example, Google is fetching the answer to a question from a YouTube video-description. The answer is broad enough to satisfy users’ question but encourages to watch or listen to the video as well. Key takeaway: Write content that’s rich in structure and broad in perspective, and focus on providing condensed answers where possible. Trade large paragraphs for smaller sentences which could potentially be featured on voice searches or otherwise. Keywords are the bread and butter of any content you write and publish. There has been great innovation in fields like video, photo, and other content presentation types. But none have come even close to disputing the weight that keywords have over content ranking. Long tail keywords are much like targeted phrases, more succinct and providing a deeper answer to a specific query. Traditionally, you would write a blog post with one focus keyword, whereas long-tail keywords generally involve adding 2-3 additional words to create a deeper answer. 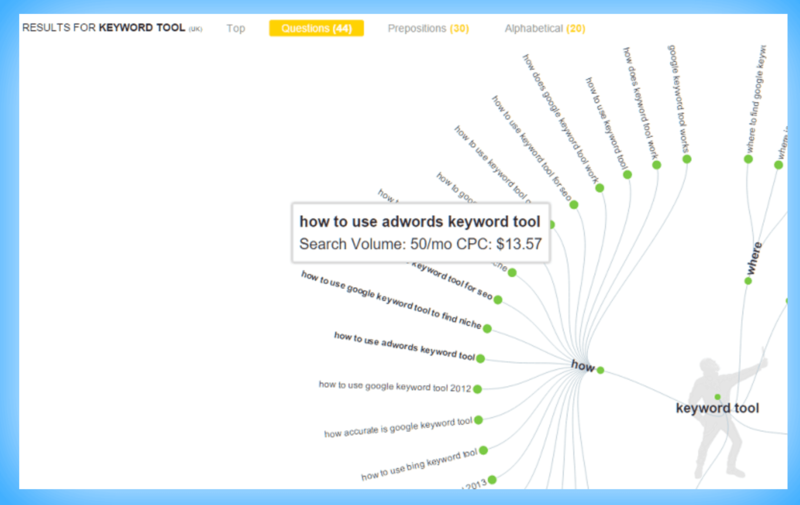 Effectively, a long-tail keyword is your ability to answer a specific thing in greater depth. The extent to which you extend the answer, and thus the keyword, is entirely up to you. Platforms like AnswerThePublic are great starting places to get new and fresh ideas for long-tail keywords. Even if you’re working on a strict piece, running your main keyword through this site can help generate additional ways to explain different concepts. Google can analyze content and identify different sections independently. If you look at promotional commercials done for modern voice technology, it’s clear as day that the emphasis is on conversation. Companies like Google and Amazon want you to interact with their voice devices using laid back conversational tone. A conversational blog post is usually based on personal experience or at least direct experience with the matter at hand. In a conversation, you’re not hiding behind marketing jargon or trying to make yourself sound smart. You’re simply sharing. And Google wants you to share. Another way to look at it is from the perspective of fun. People who use voice search regularly are obviously happy with the way that the interaction works on both ends. Your job then is to produce content that Google can appreciate for its succinct simplicity and laid back conversational tone. The market for smart speakers and voice assistants is growing quickly now, so be wary of all the ‘expert’ data coming through. Don’t sacrifice your time to try and learn everything, instead, focus on the elements you can control. And writing in conversational tones is one of those elements! Schema.org and Google have teamed up to work on a new property called Speakable. With Speakable, you can tell Google and other search engines exactly which parts of your content should be spoken out loud. Up until now, all of the detection has been automated. And with this change, both Google and Schema.org are hoping to make it easier for content producers to specify voice-friendly paragraphs, or simply tag pages as voice-optimized. And if you’re wondering what’s voice optimization, then it’s quite literally every step we have discussed in this article. In my opinion, both text-based and voice-search users are benefiting in this situation. At the moment though, the Speakable property is still in BETA and is only available for approved news publishers. But this shouldn’t stop you from putting in the right preparations. Why wait when you can prepare in advance? Both Google and Amazon are doing impressive things with their smart-speaker technology. And one of those things is the development of voice-based API’s. 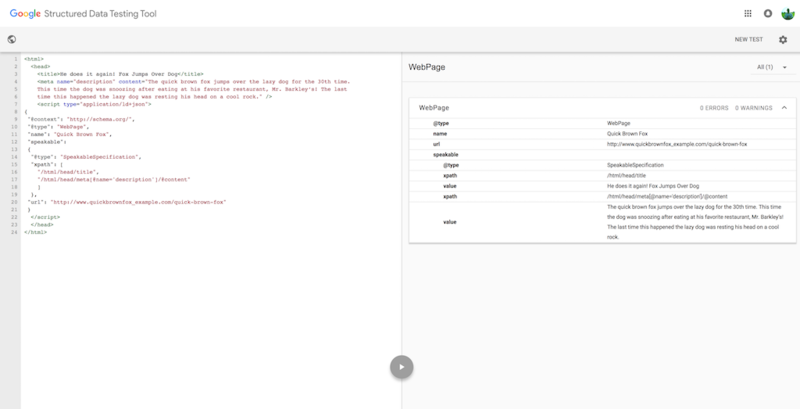 Developers can use the API to create “apps” which can perform a specific task when used. 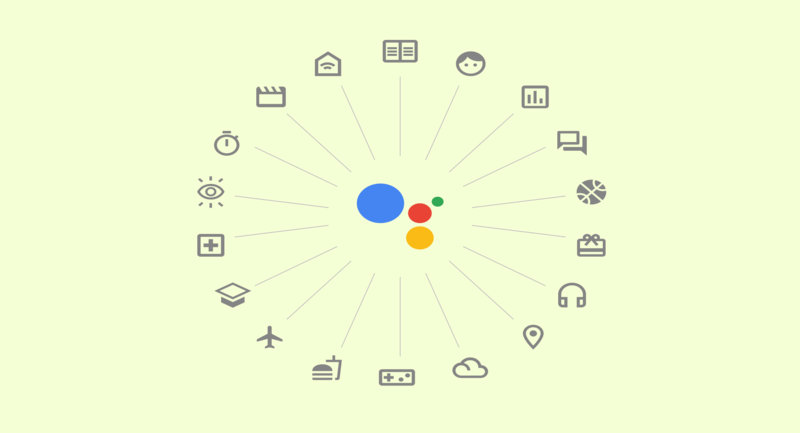 In Google Assistant these are known as Actions, and for Amazon’s Alexa they are known as Skills. To illustrate, Alexa users can download the WebMD Skill that integrates the popular WebMD health platform with the Alexa speaker. After downloading, users can use this new skill to quickly find out information relating to different health topics, concerns, and otherwise. Whereas Google Assistant users can use the Explore page to search through more than 1M+ actions published by individuals, brands, corporate businesses, but also content creators. If you are someone who’s providing unique services, why not invest the necessary resources to turn your services into voice-friendly actions and/or skills? The market is still in its infancy phase, and there’s a lot of potential to get on top of the ladder if you can find a meaningful approach. Content production is leaning towards relaxed conversational tones while having a much greater depth in order to target long-tail keywords. In addition, Google will be on the lookout for snippets and paragraphs to continue putting above all other results in SERP pages; for voice, and text results. Lastly, optimizing your content for voice search is all about patience and practice. Start using Google Assistant or Siri if you haven’t already, and practice asking questions. Listen to the answers given back to you, and you’ll start to recognize similarities and patterns. Published on 01/28/2019 by Alex Ivanovs. Alex is a Digital Marketing specialist with extensive experience in SEO, Growth, Copywriting, and User Experience. Alex has had his work published in Huffington Post, Entrepreneur, TheNextWeb, among others.